Summertime, and the livin’ is easy. 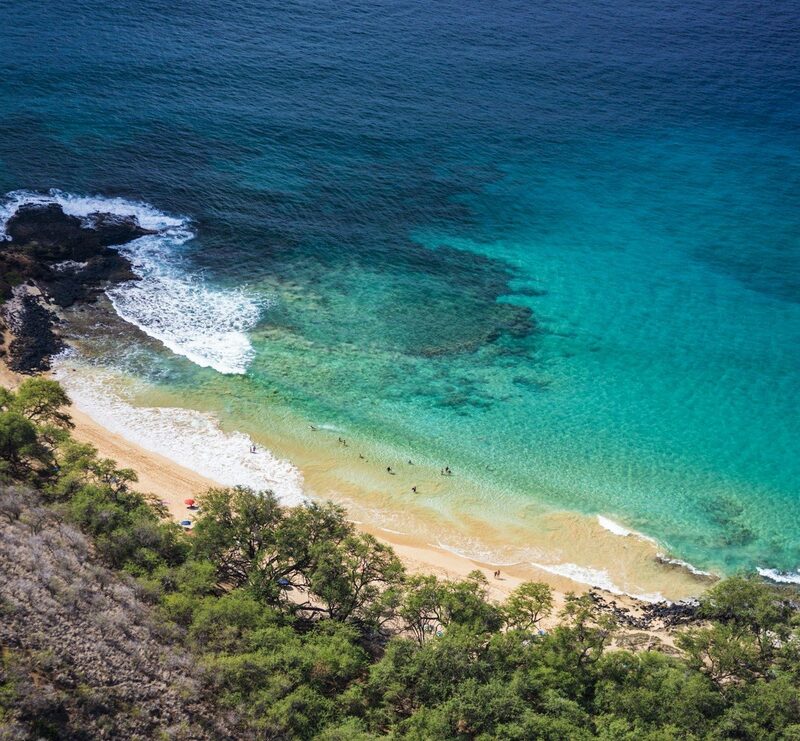 At least at some of America’s best summer getaways. 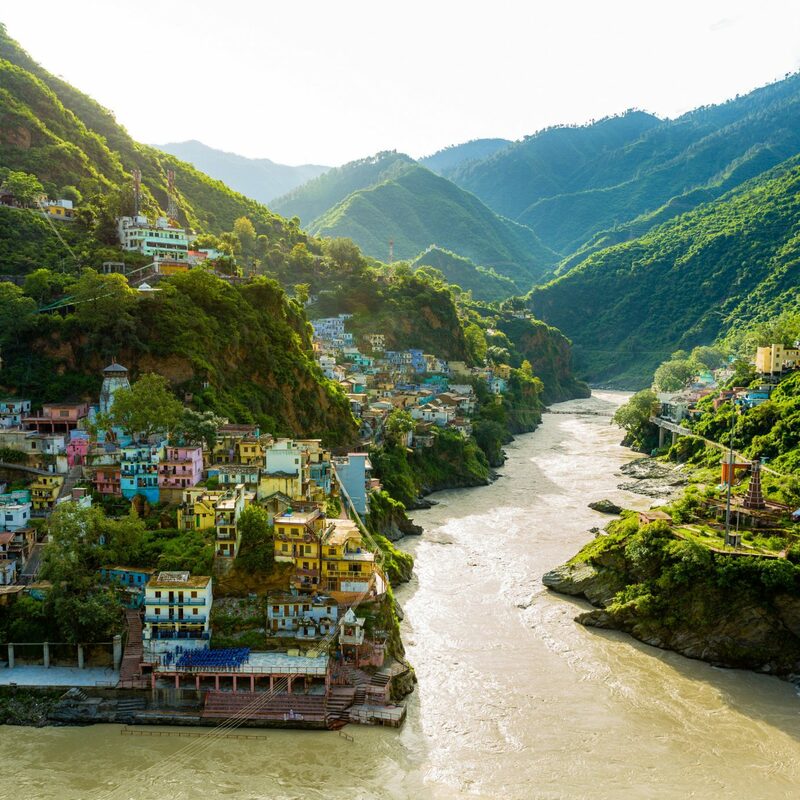 From mountain towns with new glamping opportunities, to culture hubs with zesty culinary scenes, these destinations make for the ideal warm-weather vacation. 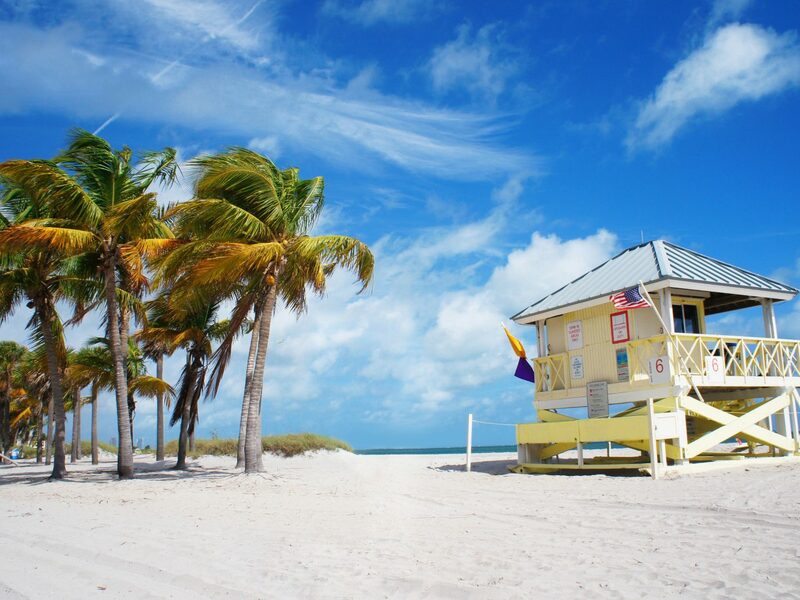 Read on for 12 perfect summer escapes in the US--don't forget your sunscreen. 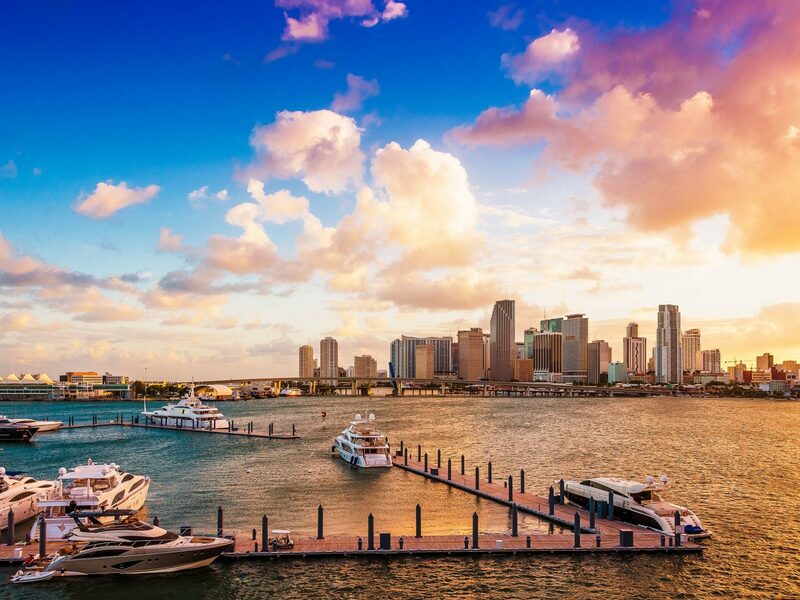 Summer is Miami’s low season, with appealing hotel rates, significantly fewer crowds, and only slightly higher temperatures (all the better to enjoy the city’s famed beaches and pools with an ice-cold cocktail in hand). 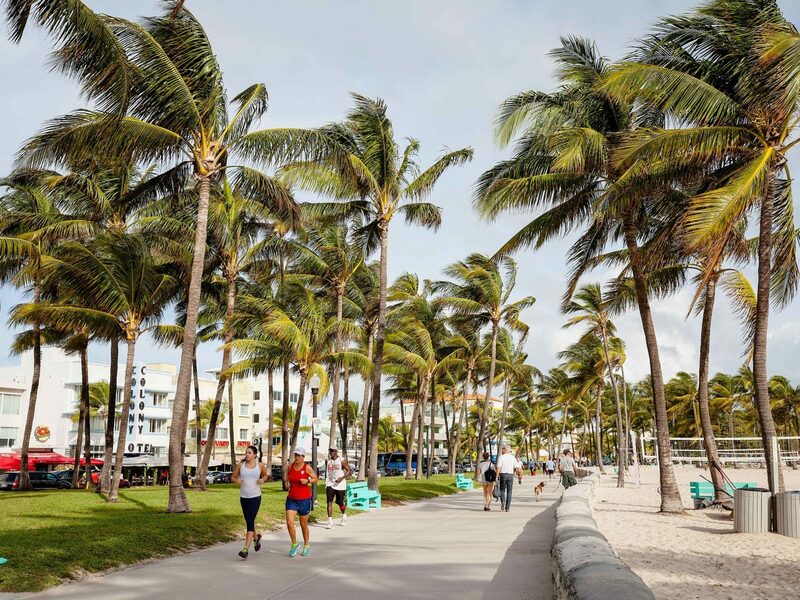 For a chill hangout near all the South Beach action, try The Betsy, with a recently-added 3,200-square-foot rooftop pool deck, or the ever-buzzy Faena, whose gilded wooly mammoth skeleton from Damien Hirst is still the hottest Instagram pic in town. 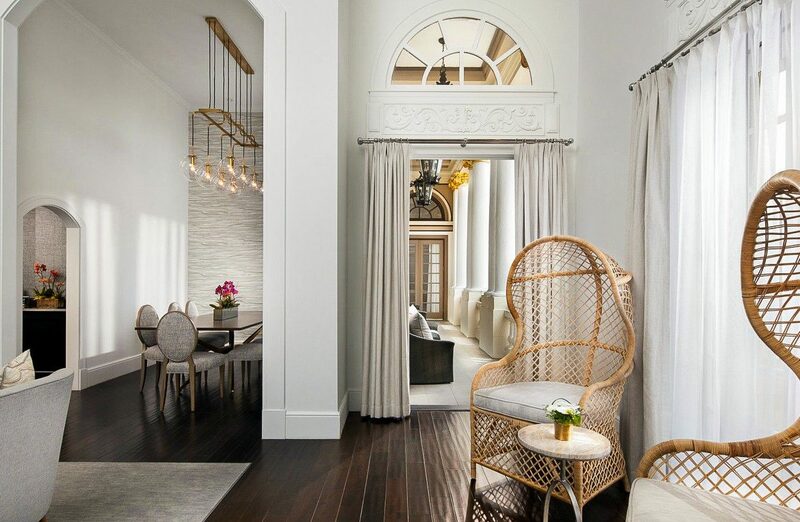 In downtown Miami, the Four Seasons has reopened the historic Surf Club in Surfside, adding 77 rooms and suites in a new building from Richard Meier, and featuring the first-ever outpost of Le Sirenuse, the legendary Amalfi Coast hotel’s signature restaurant. 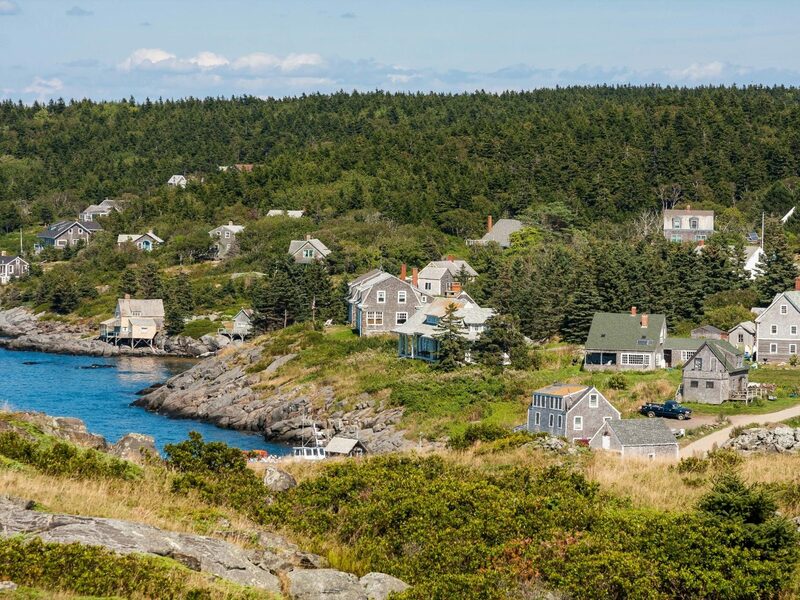 About an hour ferry ride off the coast of Maine, Monhegan Island may be small—measuring under 1 square mile—but it’s been one of New England’s leading summer art colonies for more than a century. Since the late 1800s, painters such as Rockwell Kent, Edward Hopper, and three generations of Wyeths have returned to the island year after year, drawn to its rugged shoreline, quaint architecture and bucolic interior. You can see many of their works on display at the Monhegan Museum, which celebrates its 50th anniversary this summer with a full calendar of events, or browse the quaint galleries for a look at pieces by contemporary artists. 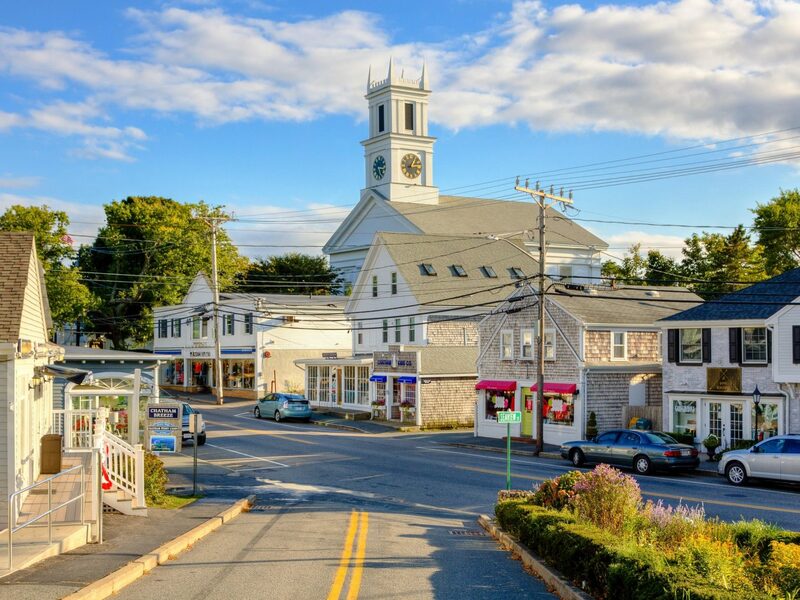 As for where to stay, we love the 32-room Island Inn, first opened in the early 1800s. The refurbished rooms feature antique oak furniture, crisp white linens, and window reading nooks that are prime for wildlife-spotting. 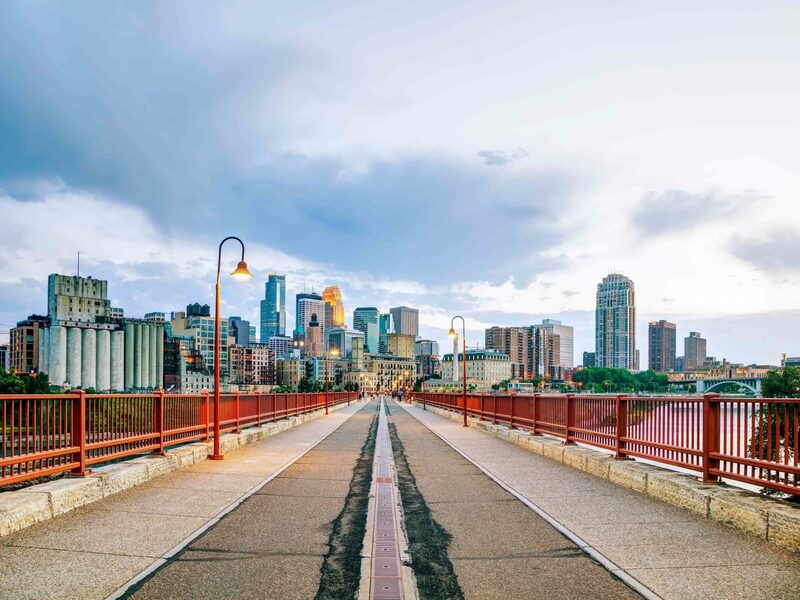 Minneapolis comes to life in the summer. Locals take to the 50-plus miles of bike paths and tree-shaded trails connecting the city’s lakes, rivers and wetlands, and restaurant seating spills onto sidewalks and patios. The dining scene, long a source of local pride, has recently been enjoying national attention, too. Nine of the city’s chefs and two restaurants made the James Beard Foundation’s semifinals this year, and Food & Wine named the reborn Grand Café one of America’s Restaurants of the Year, thanks to its whimsical design and chef Jamie Malone’s mouth-watering nouveau French cuisine. On the other end of the culinary spectrum, eating fried cheese curds at the nearby Minnesota State Fair is an annual rite of passage for locals. 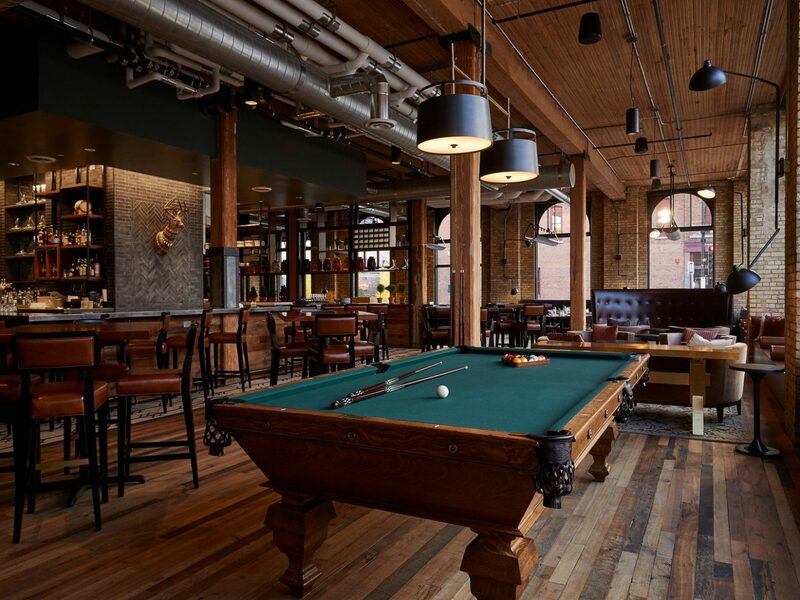 Come nighttime, rest your head at the new, lumber-chic Hewing Hotel in the warehouse district, but not before mingling with the city’s in-crowd at the hotel’s rooftop wellness club and cocktail bar. Bring your bathing suit: the members’ only club has a sleek outdoor pool overlooking the downtown skyline. 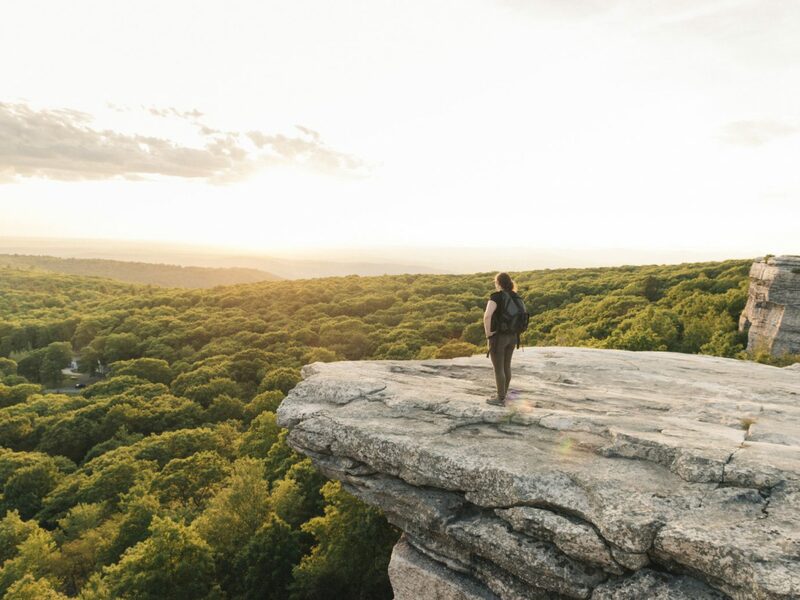 Under two and a half hours northwest of Manhattan, the Catskills are a perennial favorite getaway for New Yorkers opting for woodsy adventures over the beach scene in the Hamptons. 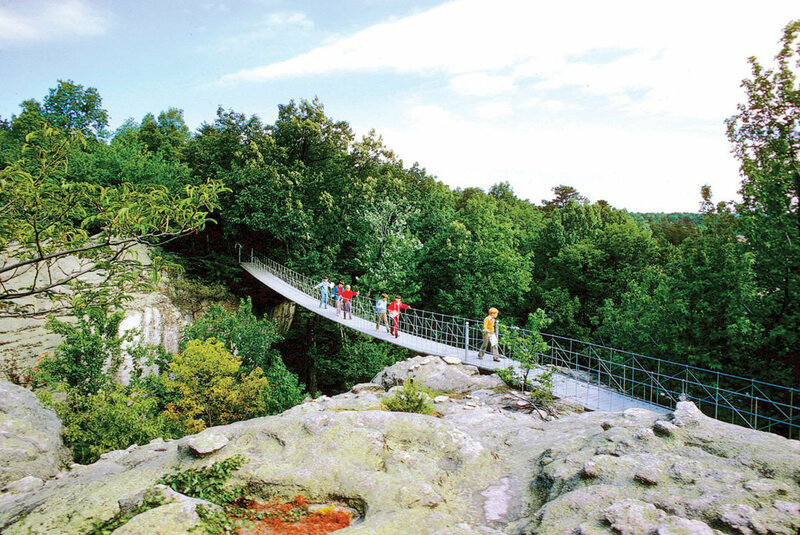 The region’s forested peaks are home to hundreds of miles hiking and mountain-biking trails, while the streams and rivers offer fly-fishing, canoeing, kayaking and tubing. 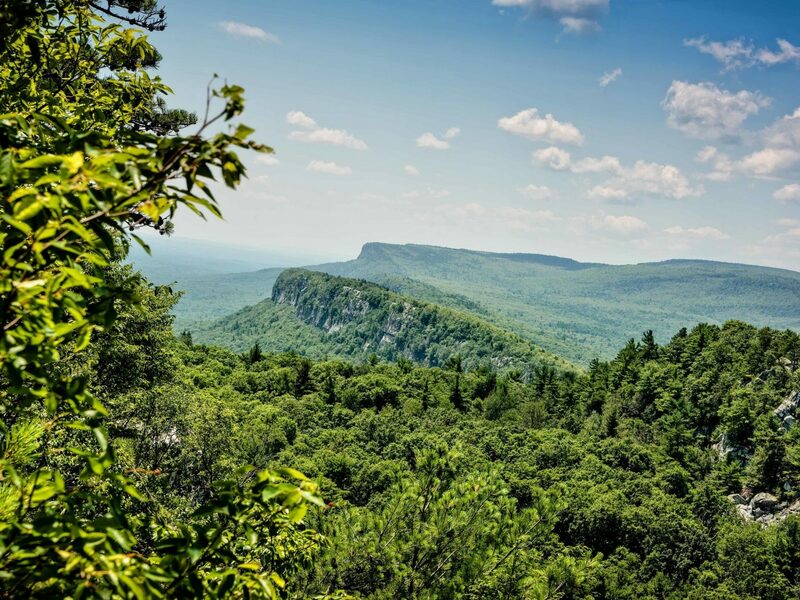 Stay near centrally located Woodstock, where 1960s hippie vibes fuse with 2010s hipster at Hotel Dylan, an 11-room property with playful decor facing the pristine waters of the Ashokan Reservoir. For an only slightly more rugged experience, try glamping at the new Eastwind Hotel further north. The former 1920s bunk house has been transformed into a stylish boutique hotel, and has three A-frame cabins with firepits and gorgeous views from the slopes of Wyndham Mountain. 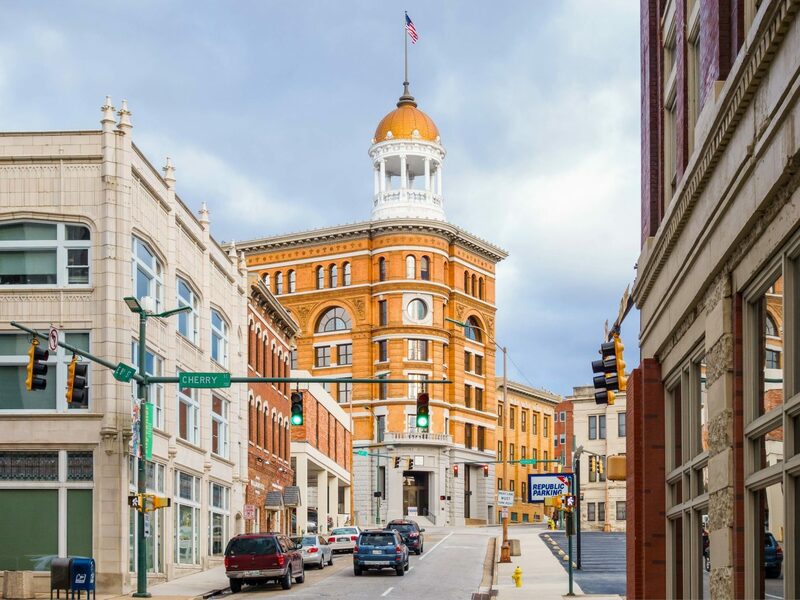 A mini tech-boom—fueled by the country’s first city-wide fiber-optic network—has given new life to this Tennessee town nestled in the Appalachians. In Chattanooga’s revitalized downtown, the historic train station is now a hotel and entertainment complex, with trendy new restaurants and music venues that draw leading local and national talent. 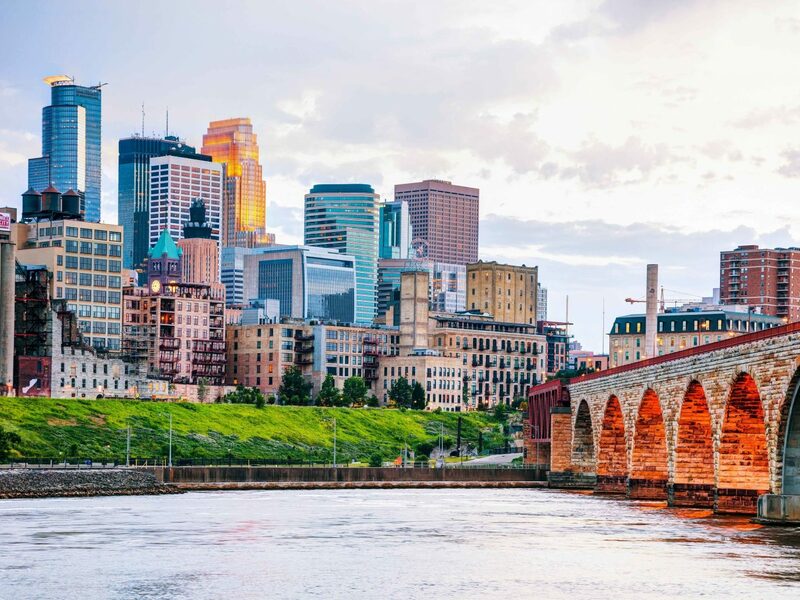 A plethora of breweries scattered across town make the city a growing destination for beer aficionados, and miles of new riverfront trails make for great biking. 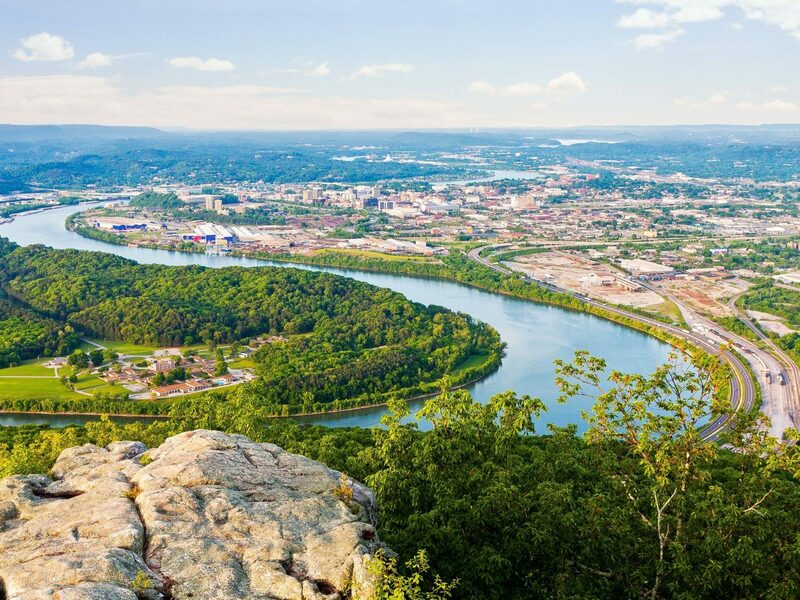 Within the city limits, Lookout Mountain offers sweeping views over the entire city and the Tennessee River (the mountain’s craggy slopes are just one reason Climbing named Chattanooga America’s new climbing capital). 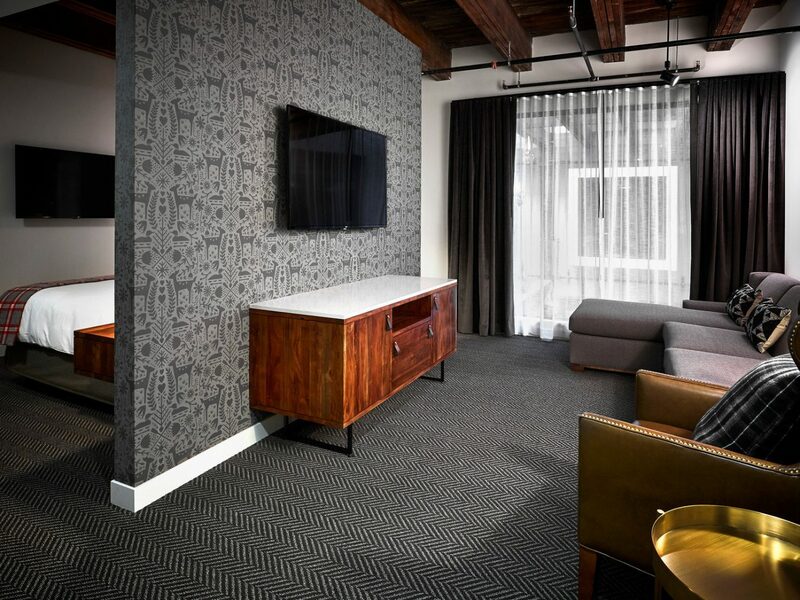 You’ll want to stay at The Dwell Hotel, a mid-century glam boutique downtown, with 16, individually designed rooms and two popular restaurants, Midnight at Matilda and the just-opened, garden-style Solarium. 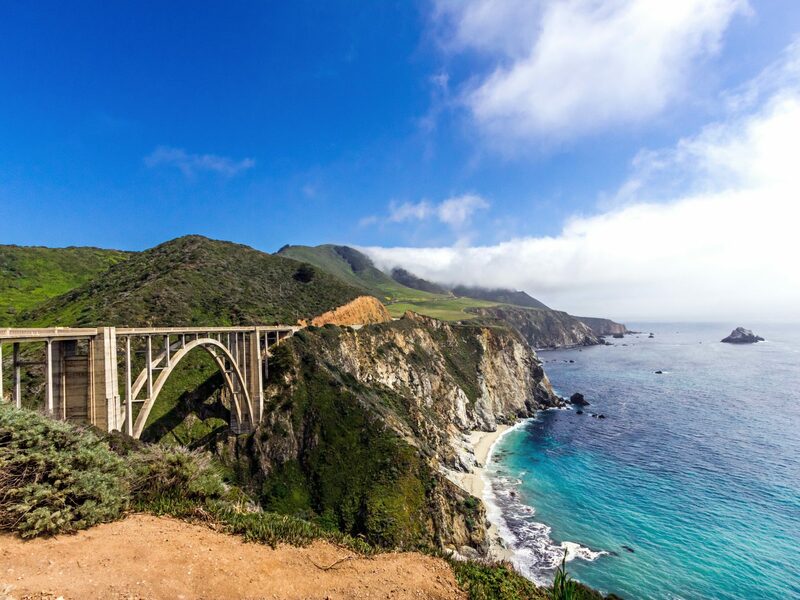 HBO’s wildly successful mini-series Big Little Lies unleashed a national rediscovery of California’s central coast when it aired last year. 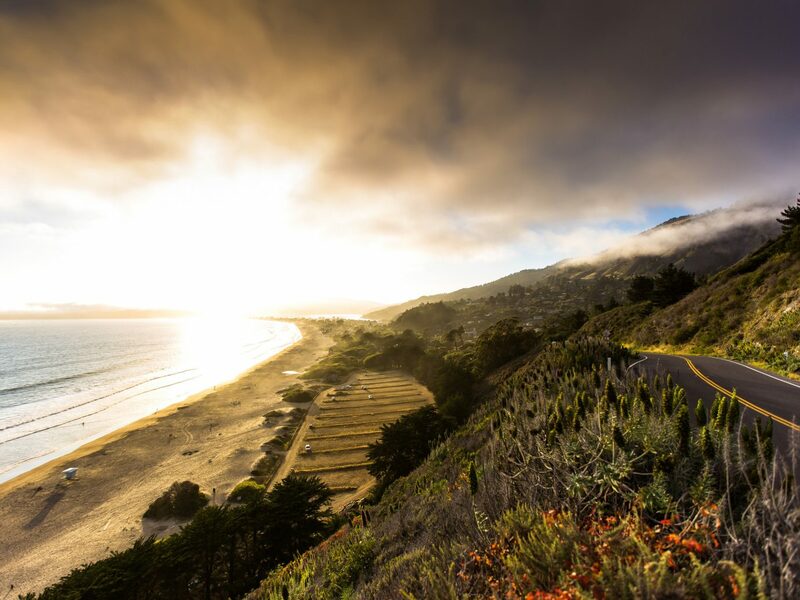 And while the show’s depiction of Monterey as a pocket of the flawed 1 percenters may be inaccurate, the region’s sheer beauty is 100 percent true. 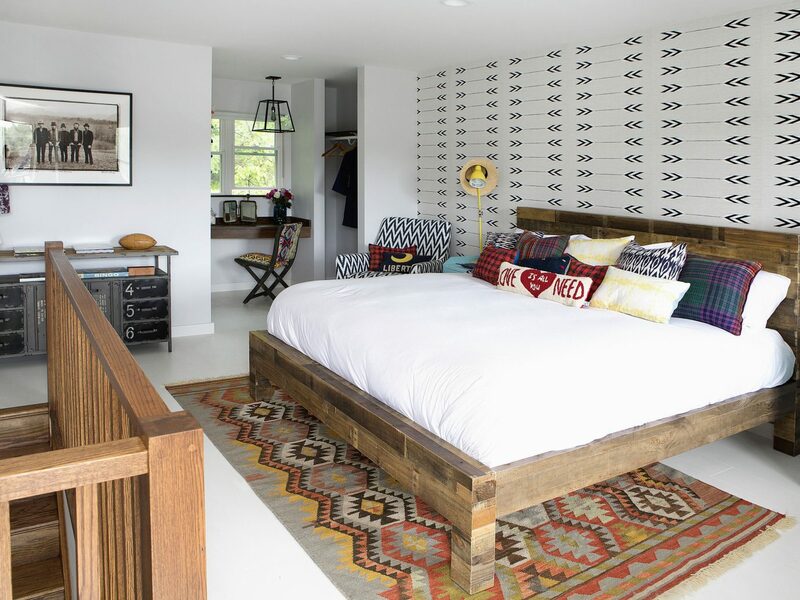 Make your home-base in centrally-located Carmel-by-the-Sea, in between Monterey and Big Sur. 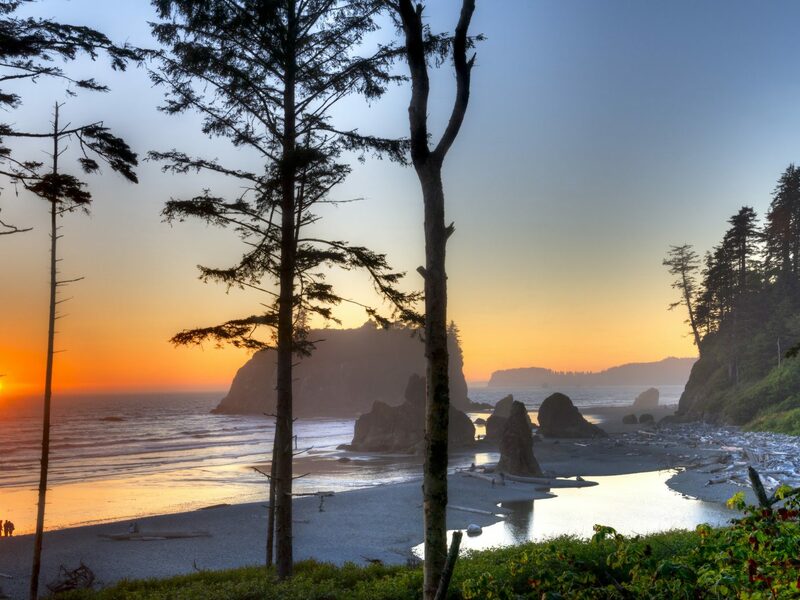 The historic arts colony, with a hodgepodge of fairytale-worthy European-style cottages, has a charming downtown lined with galleries, a prime swath of sand, and several posh boutique hotels, from the chateau-like L’Auberge to Tickle Pink Inn, on a bluff overlooking the rugged shore below. 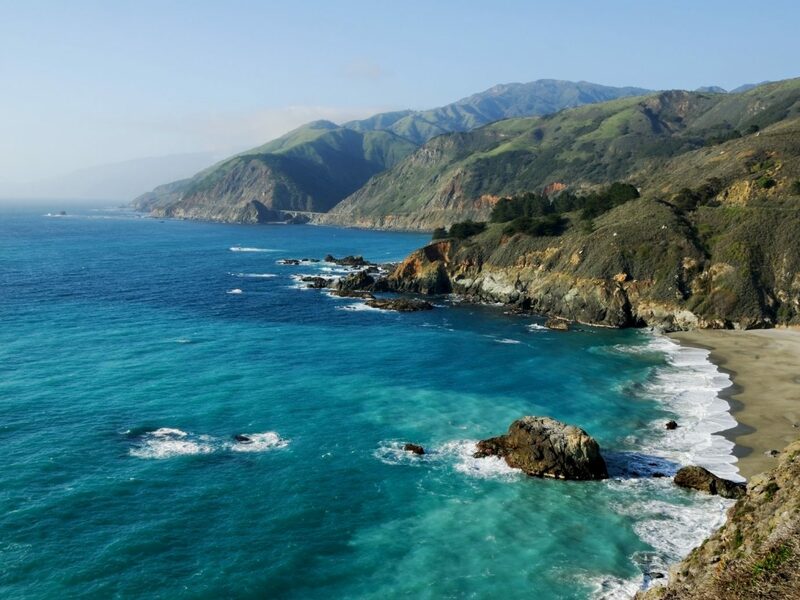 From Carmel, it’s easy to explore the world-class aquarium up in Monterey, the hiking and postcard-perfect scenery of Big Sur to the south, and the vineyards of Carmel Valley inland. 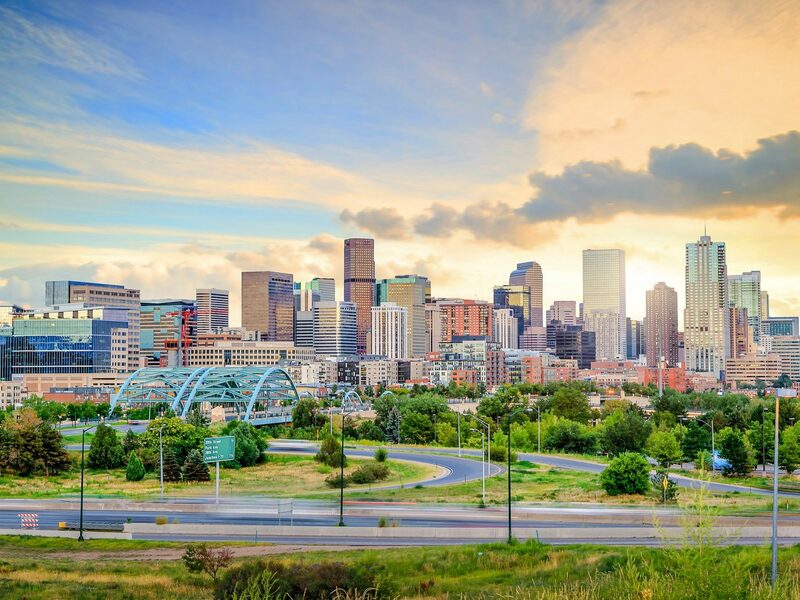 The Mile High City is in the midst of a second gold rush, only this time, it’s culture, food, and beer, not precious metal. 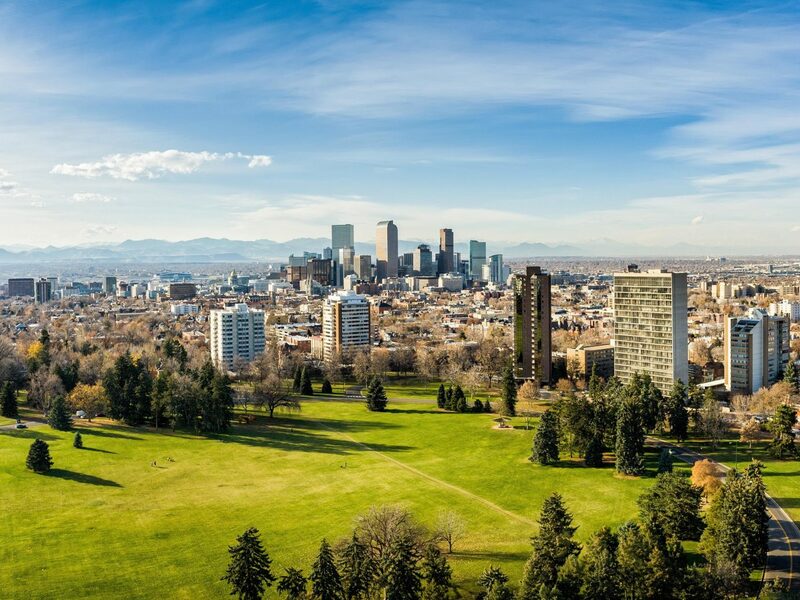 And while winter sees the state flooded with ski-bunnies, summer is the best season to explore Denver. 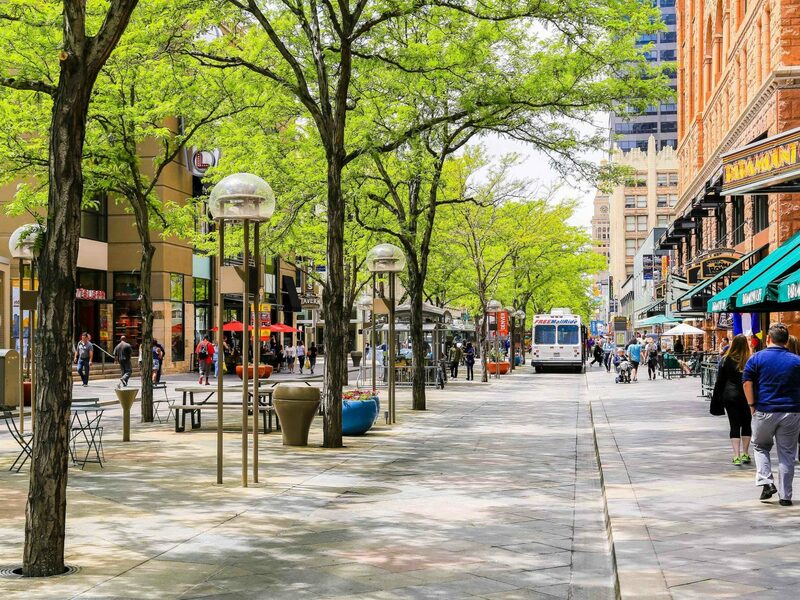 The energy once confined to the downtown core has spread to other neighborhoods as well, like nearby LoDo, with the re-opened Union Station (and its 10 restaurants) and the River North Arts District (RiNo), a former industrial area now home to the city’s best art studios. 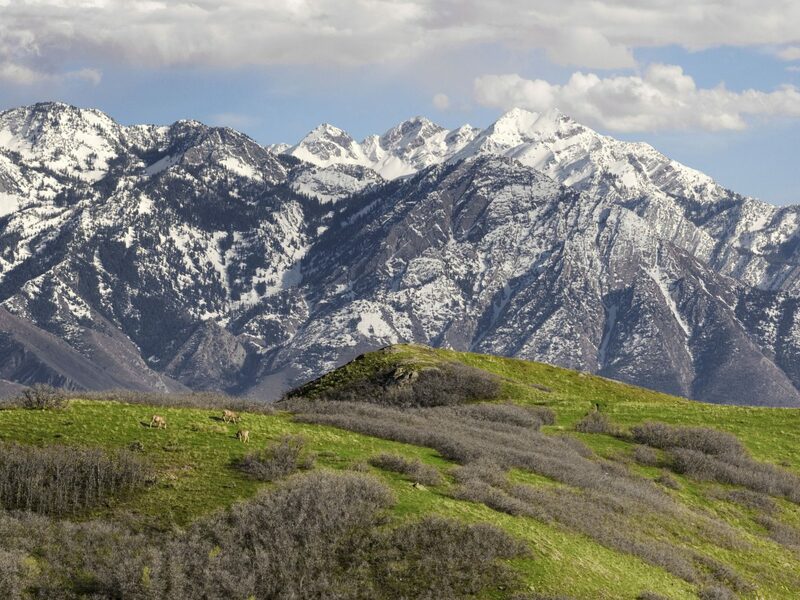 The Ramble opens there at the end of this month, with lush designs harkening back to 17th-century French salon society and four bars from the team from acclaimed New York bar, Death & Co.
Few of America’s national parks offer as much variety as Olympic does. 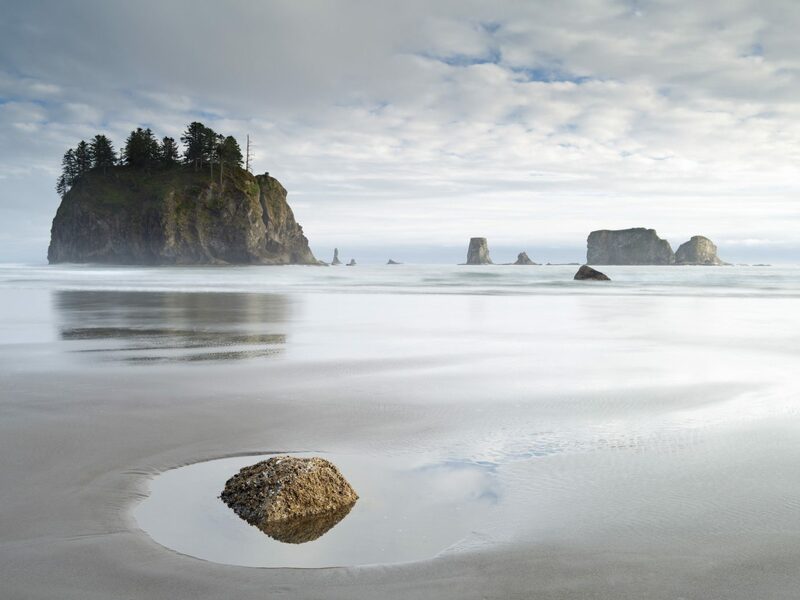 There are windswept Pacific beaches strewn with fallen trees-turned-driftwood; there are towering mountain peaks topped by glaciers; and in between, there are meadows and 366,000 acres of old-growth forest and rainforest. The park’s Lake Crescent Lodge, built in 1915, showcases quintessential turn-of-the-century elegance and stands on the shores of its eponymous lake, with ultra-clear waters due to their lack of algae-supporting nitrogen. 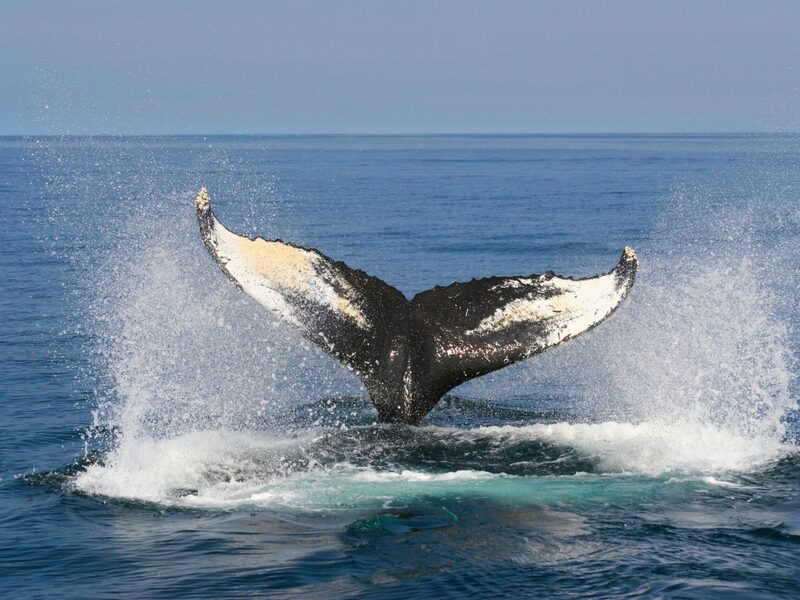 During the summer, spot mountain goats, endemic marmots, elk, bald eagles and more within the park’s boundaries, and head to nearby Port Angeles for a whale watch to see humpbacks and orcas. 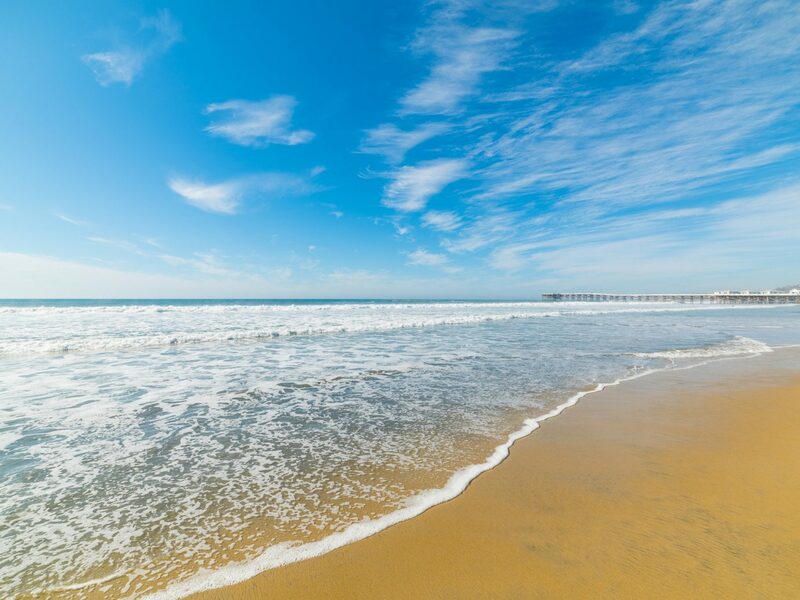 People think of San Diego as a year-round beach destination, but temperatures (on- and offshore) only hit comfortable bathing weather in the summer. 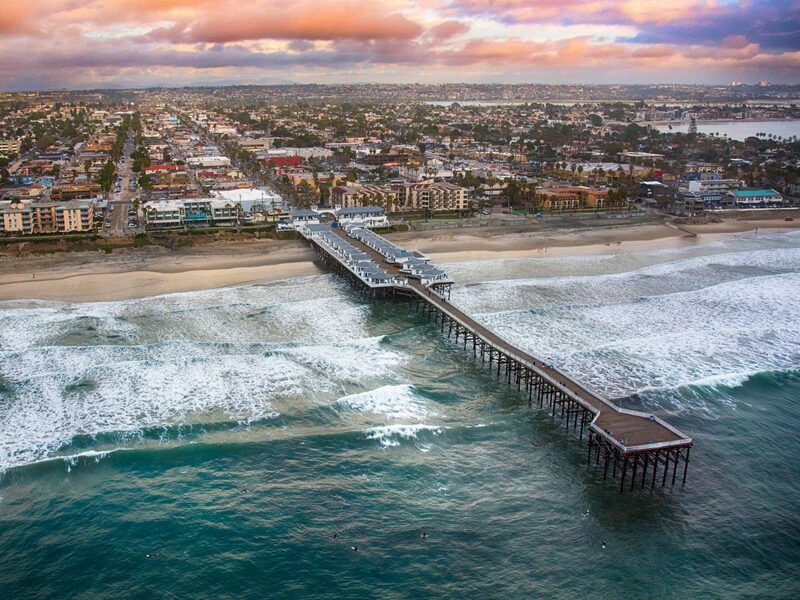 Make the most of the season by exploring the city’s 70 miles of sandy coastline, from the family-friendly Coronado Beach to the surfer hotspot (and clothing optional) Black’s Beach. 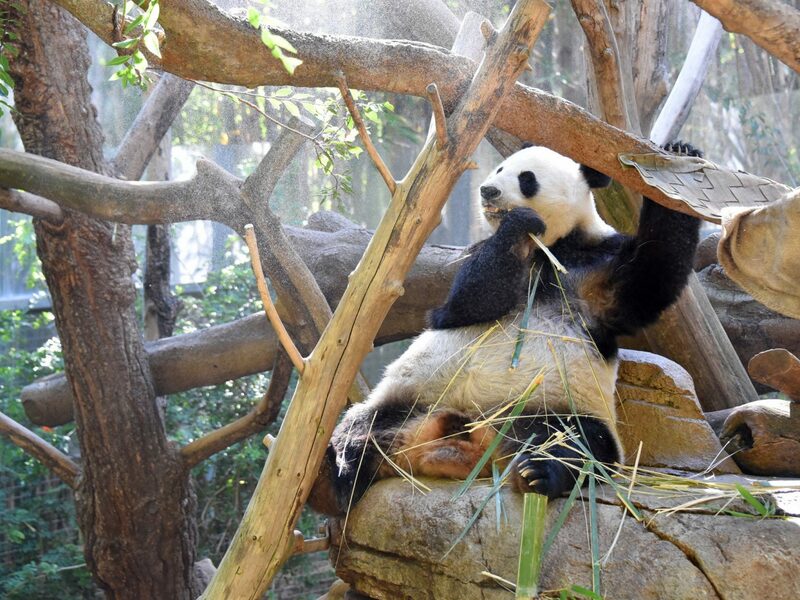 Beyond the beaches, San Diego’s thriving beer scene—there are nearly 150 craft breweries in the county—and corresponding bar scene make it a great weekend getaway, while its world-class zoo, attract families and animal lovers of all ages from the world over. 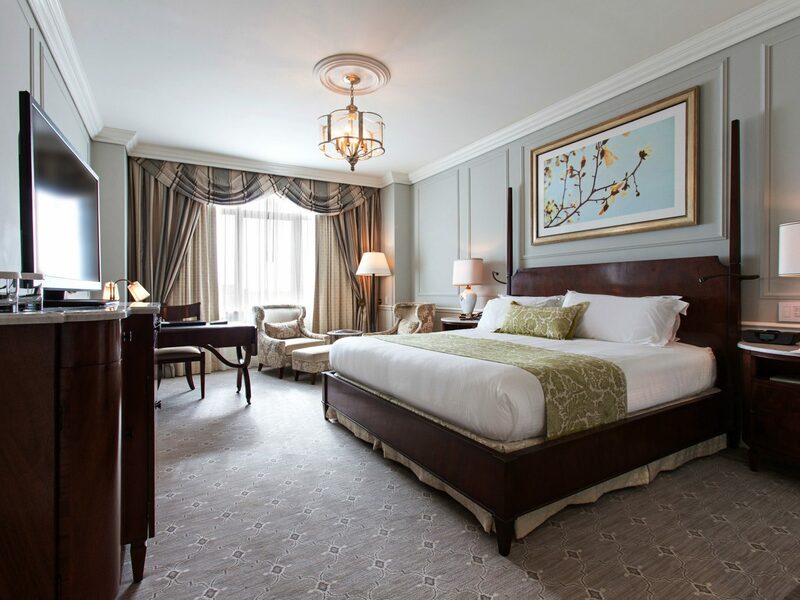 For a glimpse of the city life, stay at downtown’s U.S. Grant Hotel, which just completed a $13 million renovation this spring. The in-room technology and color schemes have been updated; the iconic headboards from artist Yves Clement, thankfully, have not. 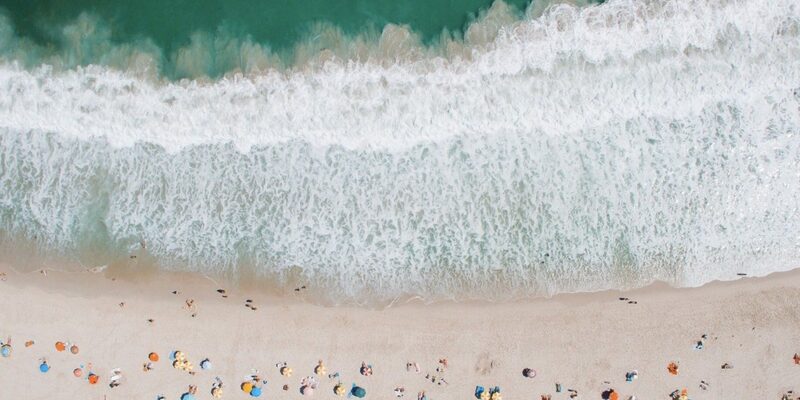 Lazy days on the beach, ice cream, and lobster rolls. 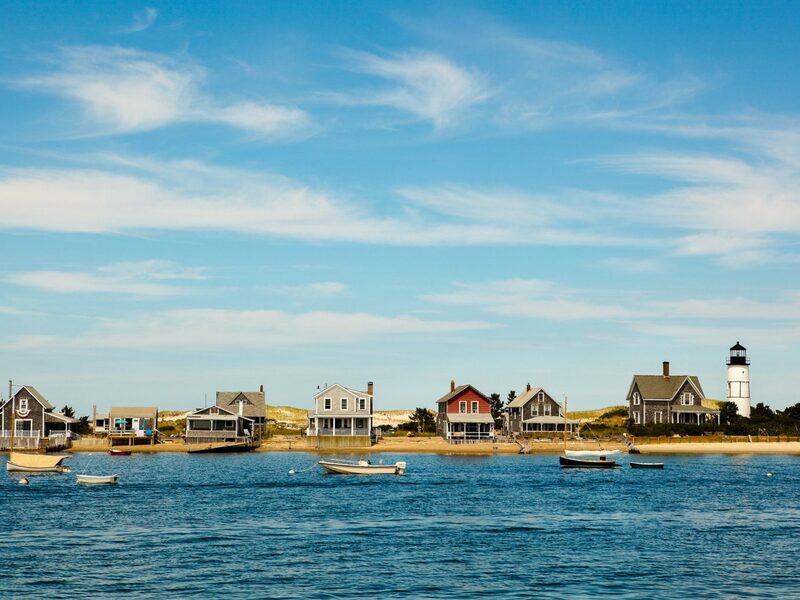 Cape Cod, and the islands of Martha’s Vineyard and Nantucket just off shore, know how to summer—it’s a verb here. A playground for New England elite since the 19th century, the area gained national attention when JFK used the Kennedy vacation compound in Hyannis as his off-season White House. The Obamas, too, chose this corner of the world for their summer vacations, heading to Martha’s Vineyard. Each town has its own character, although it’s all pleasantly on the mellow side. 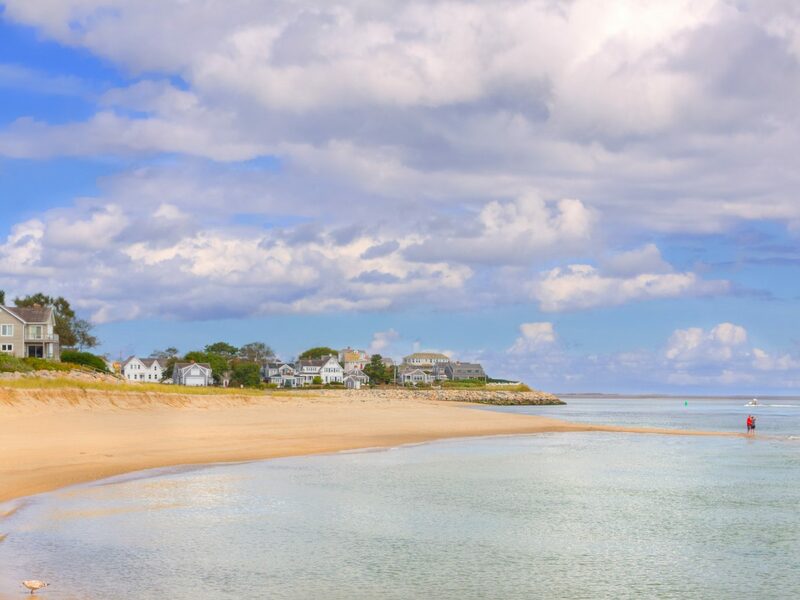 Even comparatively rambunctious Provincetown—one of the major East Coast LGBT destinations, with multiple festivals and bustling nightlife scene—doubles as a low-key beach escape, and is the home port for whale watch tours. 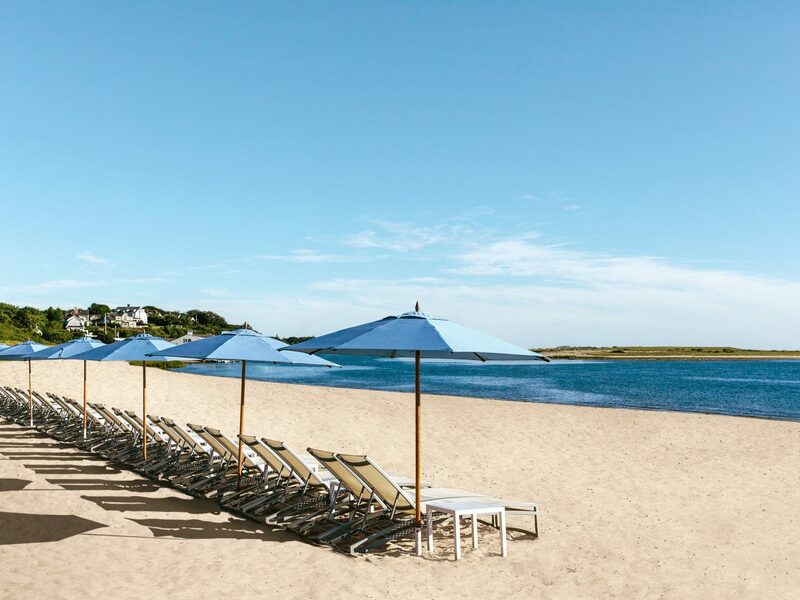 On the Massachusetts Bay side of the Cape, the graceful, shingled Chatham Bars Inn has welcomed guests to its tony rooms for over a century. On Nantucket, meanwhile, Lark Hotels have brought new life to the hotel scene there with preppy-chic 76 Main and 21 Broad. 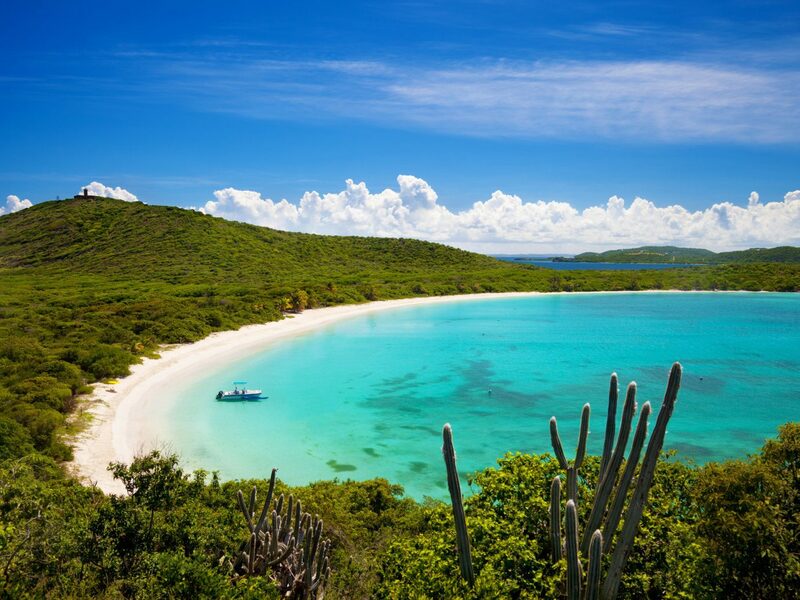 After a devastating hurricane season in 2017—and lingering utilities troubles—America’s window to the Caribbean is back in business. 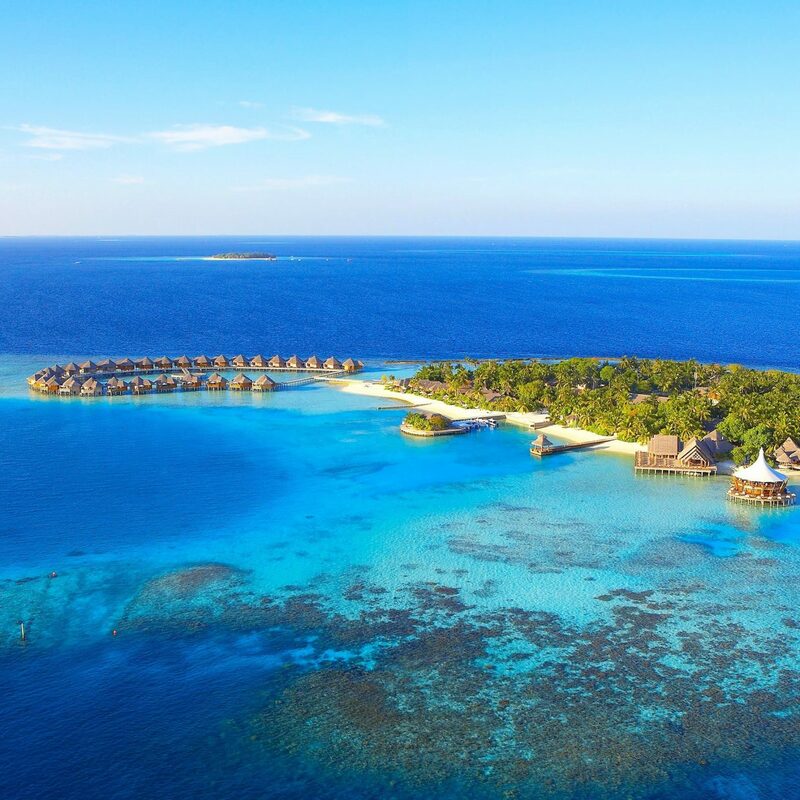 Summer, the region’s low season, sans the winter crowds and high rates, is an ideal time to visit. 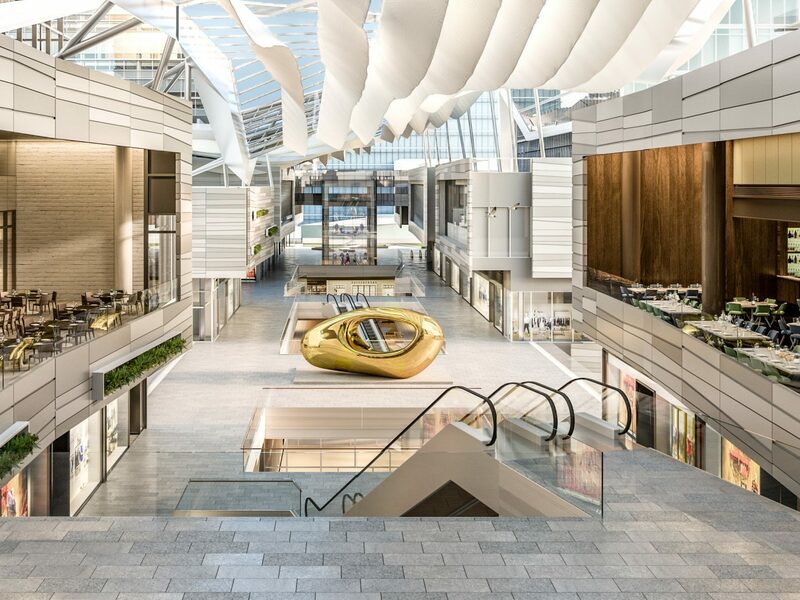 In San Juan’s hip Condado neighborhood, the just-opened Serafina Beach Hotel, with muted tones and floor-to-ceiling windows overlooking the turquoise sea, is the city’s first all-new property to open since Hurricane Maria hit in September. 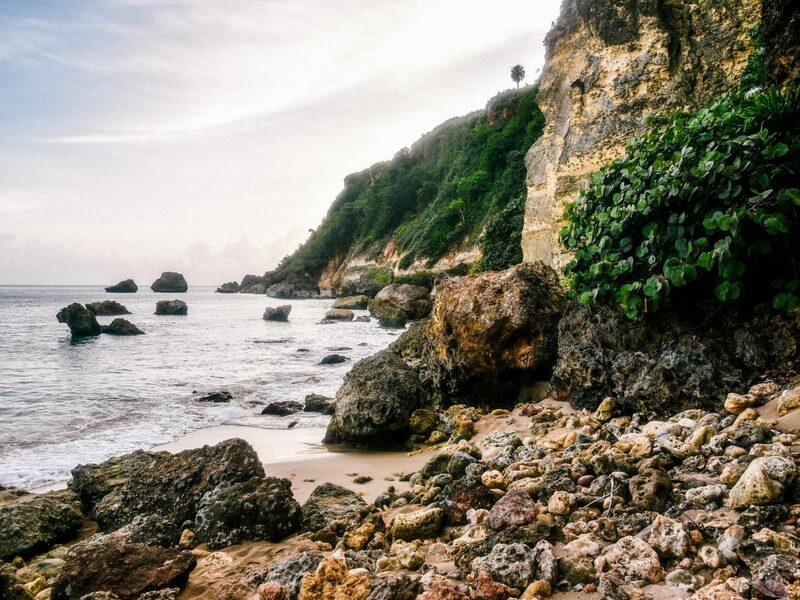 Elsewhere in Puerto Rico, design-centric El Blok is taking reservations again, enticing guests to Vieques, a 55-square-mile island offshore that’s home to wild horses and some of the most stunning beaches in the Caribbean. 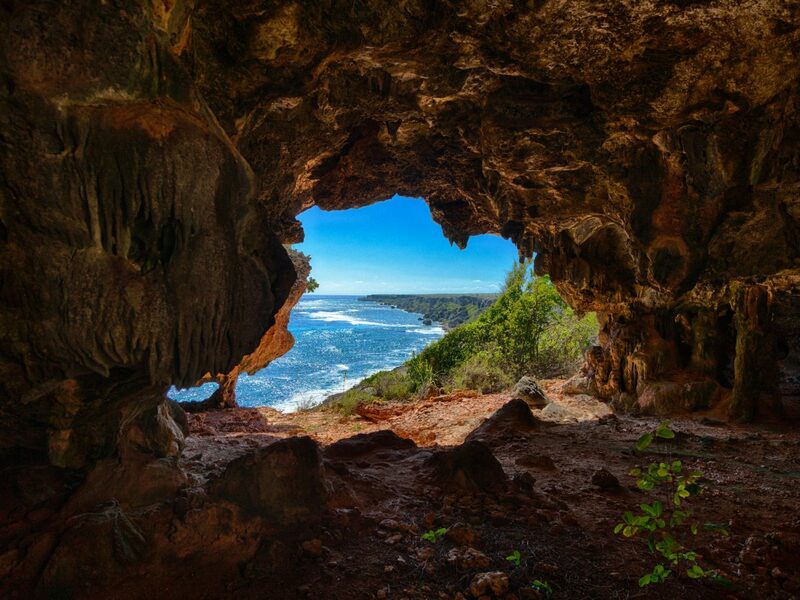 And while many trails remain closed in El Yunque National Forest, travelers can still explore the island’s dense rainforests, notably at Toro Verde Nature Adventure Park, in the center of the island. 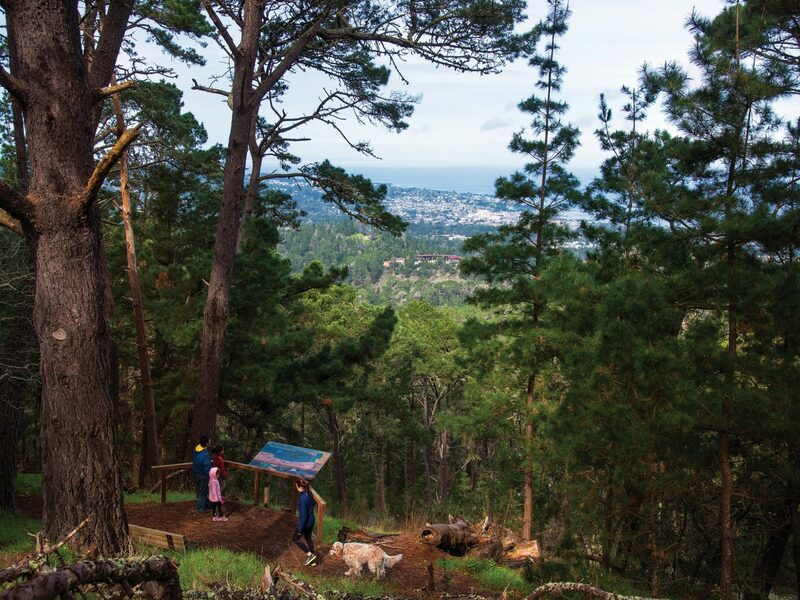 There, “El Monstruo” zipline transports visitors above the verdant landscape over the length of 28 football fields. 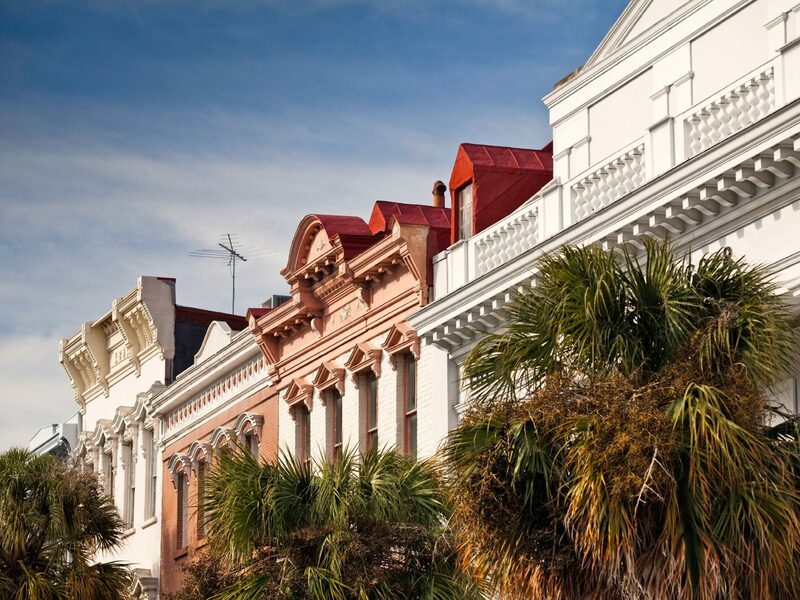 Everyone comes to Charleston for its Antebellum architecture, forward-thinking restaurants, and southern charm. 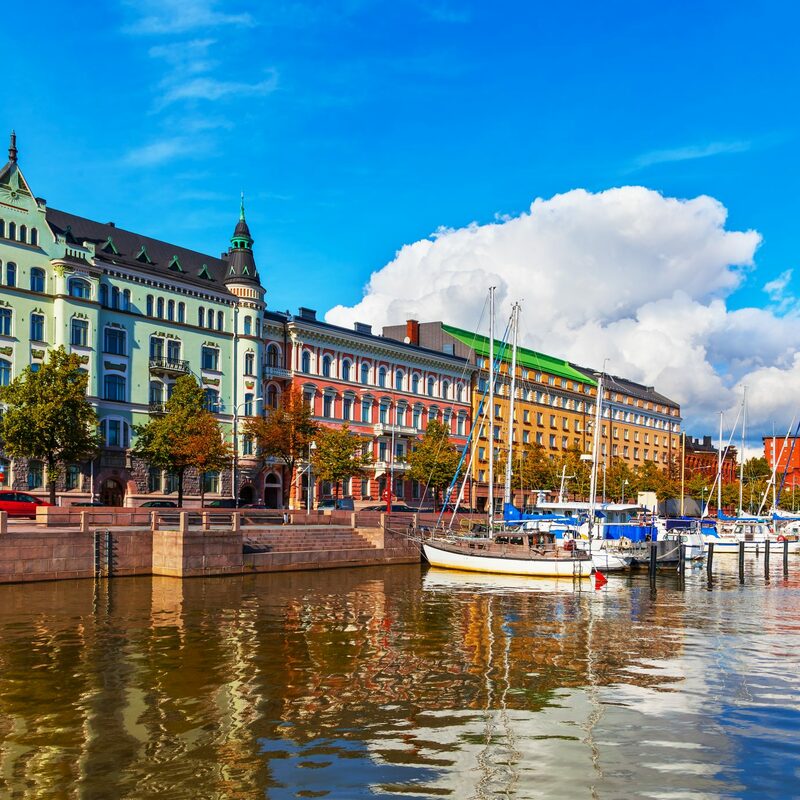 Come summer, the charming city’s proximity to wide, sandy beaches make it all the more appealing. 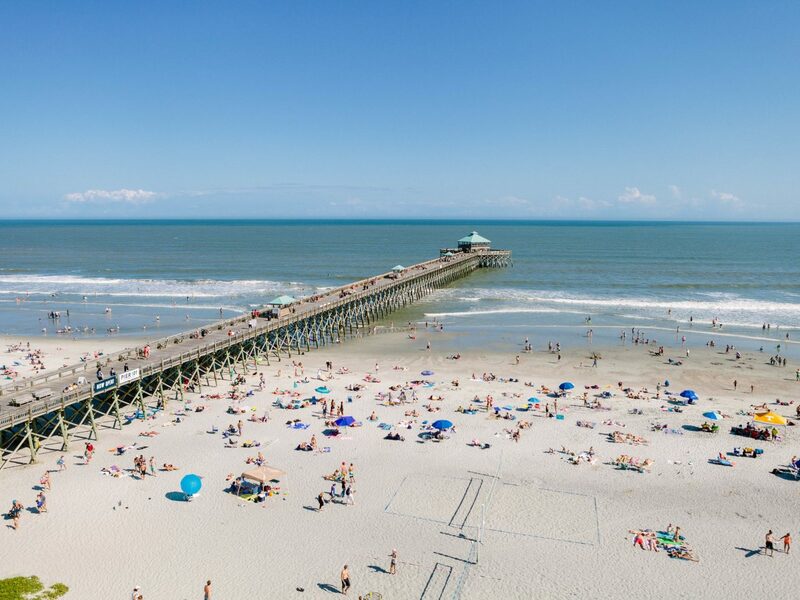 Folly Beach, with its 1,000 foot pier jutting into the Atlantic, is popular with surfers and families, while Kiawah Island and the preserve at Bull Island, tend to be crowd-free. 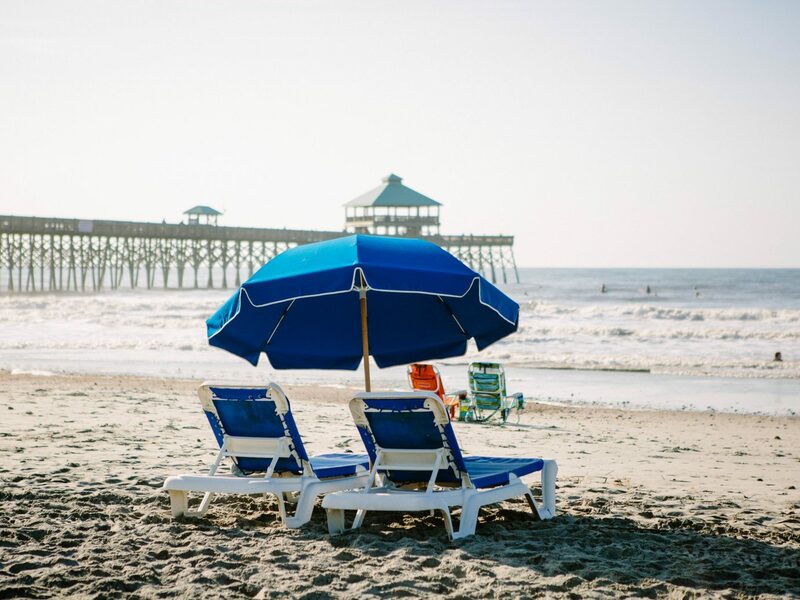 Stay at the luxe Belmond Charleston Place in the center of town, which recently underwent a tip-to-toe renovation, and features a soothing spa as well as rooftop pool.